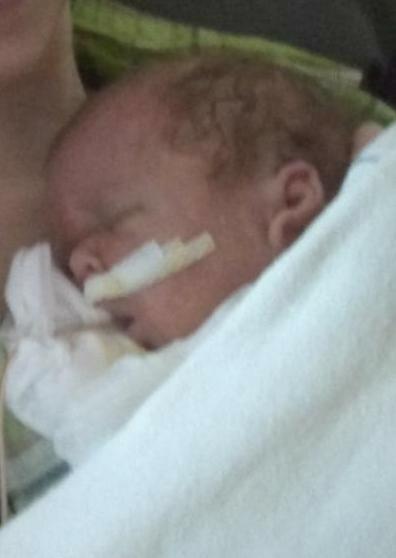 The Life of Benjamin Patrick Kriner Jr.
Benjamin Patrick Kriner, Jr., 6 week old son of Benjamin P. Kriner, Sr. and Monica M. Grim of Mertztown, passed away on Saturday, April 6, 2019 in Lehigh Valley Hospital, Salisbury Township. In addition to his Mommy and Daddy, Benjamin is survived by his maternal grandmother, Susan J. (Muth) Grim, Mertztown, maternal grandfather, Robert Grim, Reading, paternal grandfather, Samuel P. Kriner, Sr., widower of predeceased grandmother, Denise E. Kriner, Mertztown, maternal great-grandfather, Warren C. Muth, Mertztown, aunt, Stacey Grim, Mertztown, and uncle, Samuel Kriner, Jr., Mertztown. A memorial service to celebrate Benjamin's life will be held privately by his family. Ludwick Funeral Homes, Inc., Topton, is in charge of arrnagments. Memoires and condolences may be recorded at www.Ludwickfh.com. Please share your memories of Benjamin.